Today’s Ambedkarites may have reduced their mentor to a symbol central to their electoral campaign, but history will view Babasaheb Bhim Rao Ambedkar differently — as a man whose genius extended over a diverse array of human affairs. Born to Mahar parents, Babasaheb would have been one of the many untouchables of his times condemned to a life of suffering and misery had he not doggedly overcome the oppressive circumstances of his birth to rise to pre-eminence in India’s public life. Ambedkar was, of course, a towering leader of the Untouchables, but he was also much more – a patriot, scholar, thinker and founding father of the Indian Constitution. Ambedkar started the Bahishkrit Hitkarini Sabha and the Samaj Samanta Sangh for the uplift of untouchables. He led processions and dharnas for his community, demanded separate electorates for them, and parted ways with Gandhi violently differing with Gandhi’s approach toward the Untouchables. Finally he left the Hindu fold embracing with thousands of his followers the more egalitarian faith of Buddhism. Babasaheb Ambedkar raised the banner of Buddhism and brought back to his motherland the Buddha who suffered an exile for over twelve hundred years. Ambedkar, a man of provocative learning, challenged opponents of Buddhism to hold discussions with him, and was confident that he would defeat all Pandits. He propagated Buddhism in India and made the provision for the study of Pali in the Indian constitution. The Government of India declared Buddha Jayanti a public holiday mainly through his efforts. Dr. Ambedkar was the greatest pioneer of Buddhist revival in India. India, no doubt, continues to be proud of its Buddhist heritage. Since regaining independence, Buddhist symbols like the Wheel of Dhamma and the Ashoka Capital have become national symbols and the Mathura Buddha adorns the house of Parliament and inspires Indian lawmakers. The Buddha established a classless society by opening the gates of the Sangha to all deserving individuals, making no distinction between caste and class. The fundamental principle of Buddhism is equality. Buddhism was called the religion of the Shudra. Lord Buddha raised his voice against separatism and Untouchability. On the eve of the great conversion at Nagpur on October 14, 1956 Dr. Ambedkar said that Buddhism could serve not only India, but the world. Buddhism is indispensable to world peace and he asked Buddhists to pledge not only to liberate themselves but also elevate their country and the world. “By discarding my ancient religion which stood for inequality and oppression today I am reborn. I have no faith in the philosophy of incarnation; and it is wrong and mischievous to say that Buddha was an incarnation of Vishnu. 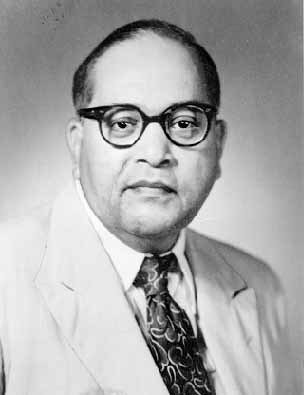 Dr. Ambedkar denounced Hinduism, its customs and traditions, and declared that from that moment onwards he would strive for the spread of equality among people. Dr. Ambedkar wrote a book on Buddhism titled Buddha and His Dhamma explaining its tenets in simple language to the common man. His two other books are Revolution and Counter Revolution in India and Buddha and Karl Marx. The malafide intentions of including Buddha in the Avatara pantheon are also clear from the fact that the Brahmins never worshiped the Buddha and no temples were built in his honor. Logically the theory that Buddha is an incarnation of Vishnu is a dubious one. Dr. Ambedkar exhorted Buddhists to reject the belief that Buddha was an incarnation of Vishnu. Principal Vipassana Teacher, Shri S.N.Goenka and Sankaracharya of Kanchikam Kote Peetham Sri Jayendra Saraswati made a joint declaration on November 11, 1999 at Sarnath that Gotama the Buddha was not an incarnation of Vishnu. Dr. B.R.Ambedkar along with hundreds of thousands of Mahar’s, an untouchable caste, converted to Buddhism. His conversion was a symbolic protest against the oppressions of caste inequality. His conversion was an intellectual decision that would meet with the least opposition from the Hindu majority. India has not produced a leader of the kind like Dr. Babasaheb Ambedkar, a crusader for social justice and champion of Human Rights. One of his greatest contributions is the Fundamental Rights and Directive Principles of State Policy enshrined in the Indian Constitution. These Rights provide for freedom, equality, abolition of Untouchability and remedies to ensure its enforcement. Fifty-five years after independence caste prejudices in India continues, and now there is a deliberate attempt to revive these prejudices. Grundtvig’s conception about Nordic mythology and Christian Anskuelese may be compared with Ambedkar’s views on the original tradition of Buddhism as a source of inspiration. In describing his work on Buddhism he said ”we have started this movement to develop and educate our minds.” Explaining the need for religion among the poor as a need arising from hope, Ambedkar referred to his German Professor Dr. Wintermitz. In Annihilation of Caste Ambedkar highlighted his major difference with the Mahatma Gandhi. While Gandhi was for abolition of the caste system as sanctioned by Hindu sage Manu he only sought reform while upholding the existence of the caste discrimination. When Gandhi asked for dedication on the shared cause of struggle for India’s freedom Dr. Ambedkar responded by seeking separate electorates for the so-called “outcastes” whom the Mahatma called Harijan- sons of the God. Dr. Ambedkar’s response to Gandhi was that he desired to treat the symptom and not the cause of the disease since it was not possible to abolish Untouchability without addressing Castes and the Dharma system, which is at the root of it. Buddhists of India need the friendship, understanding and cooperation for uplifting themselves and for strengthening the hands of those who are striving for peace, equality and justice. Let the scent of the Dhamma spread in all directions and illumine the minds of those who put much faith in steel and fire but ignore the value of peace, loving kindness and compassion. Venerable Anagarika Dharampal, great son of Sri Lanka, came to India and was distressed to find even the great Bodhi Gaya Temple in a dilapidated condition under the control of Brahmin Mahant. He struggled to take possession of Boudh Viharas of the Buddhist but failed owing to the hostile attitude of the British Government and the upper caste Hindus. He founded Maha-Boudhi Society to propagate the Dhamma and to continue the struggle for reviving Buddhism. And Dr. G.P.Malalasekera said: Let us not forget that some of the leaders of religion have themselves been revolutionaries. The Buddha, for instance, was one of the greatest rebels in human history. He denied the assumptions on which religion in His day was based and gave the religious quest an entirely new orientation. He refused to accept the sincerity of the Vedas or the power of the priesthood. He refuted the illusion that human problems could be solved with sacred rituals and incarnations. He was a sworn enemy of the Caste System on which the World structure of Indian Society rested. He was ridiculed and persecuted and several attempt were made on his life. Educate, agitate, organize and have faith in yourself. With justice on our side, I do not see how we can lose our battle. The battle to me is a matter of joy. The battle is in the fullest sense spiritual. There is nothing material or social in it. For ours is a battle not for wealth or for power. It is a battle for freedom. It is a battle for reclamations of the human personality. 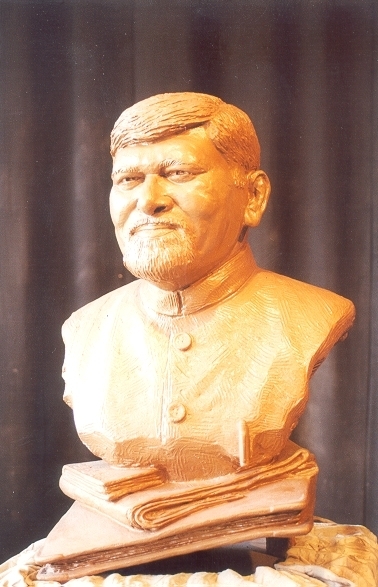 Amedkar was Bharat Ratna in the refuge of Tri-Ratna Buddha, Dhamma and Sangha. Therefore all Ambedkarites must call themselves as Buddhist and nothing else. Thus Ambedkar’s whole life and mission was a practical contribution to humanistic Buddhist education in India and not just intellectual and philosophical which is common these days. Though he was not a Buddhist by birth but by practice and at heart he was a Buddhist. The most significant development in the resurgence of Buddhism in modern India was the movement inaugurated by Babasaheb Ambedkar, as a result of which mass conversions of Buddhism have been taking place in many parts of the country. The Neo-Buddhist is progressively gaining self-sufficiency as regards temples and shrines, monastic leadership and guidance, educational institutions and religious literature. In India, too, Buddhism is numerically the fastest growing religion. "I, for one, truly believe that individuals can make a difference in society. Since periods of great change such as the present one come so rarely in human history, it is up to the each one of us to make the best use of our time to help create a happier world for new generation to live with peace, freedom and love for mankind on planet earth. This century is the most important century of humankind”, said His Holiness the Dalai Lama. Babasaheb Ambedkar said: The first point, which makes off Buddha from the rest, is his self-abnegation. Jesus insists that he is the Son of God. Mohammed went a step further. He claimed that he was the messenger of God on earth and insisted that he was the last messenger. Lord Krishna went a step beyond both Jesus and Mohammed. He claimed that he was Parameshwar – the God of Gods. Buddha never arrogated to himself a status. He was born a son of man and was content to remain common man and unlike Krishna who claimed for himself a role of mokshdata (bestower of salvation), Buddha was satisfied with playing the role of margadata (guide to the path). Buddha’s Teachings are based on wisdom, morals and concentration, which are applicable not only for Buddhist nations but are of universal application. He is the giver of path of sublime promotions and reliever from painful demotions. Hence let us all practice His teachings without hesitations walking on the path of noble truth realization and making Nibbana as our final destination. The socio-cultural movement, which gradually transformed the original teaching of Buddha to popular Buddhism as practiced by millions of people, needs to be given due consideration in a study of Buddhism as religion. Buddhism makes enlightenment the sole aim of life. This was the philosophy that Ambedkar accepted and tried to revive. Besides this there was another reason. Buddha, whose life and movement Ambedkar had studied, was a believer in education and the creativity of the people. Under the influence of these teachings, the most rejected peoples of India has once again risen to uplift their life as well as that of the whole society. If it was once possible in India, it must be possible again. He had a solid historical basis to trust India’s ordinary folk as India’s future democrats. Dr. B.R. Ambedkar would be remembered mostly as the symbol of revolt against all the oppressing features of Hindu society. In a way he symbolized the hopes and aspiration of the oppressed and the Untouchables. Buddha was the first religious leader, who expounded peace and equality in the history of man. Five precepts (Panchsheeel) of Buddha’s life are principles of building world peace the precepts Panchsheel based on Buddha’s life would help to build world peace and harmony among the Nations. Our humanity is cultivated through our emotions. Each day we should look not only to be moved by others, But also to move them through kindness, patience and caring. Said Venerable Master Hsing Yun: It is my hope and prayer that we will always live a happy, joyful, peaceful life based on non-violence, truth, equality, love and compassion, this great message of Buddha is relevant today. 1 Dr. B. R. Ambedka - -“ Buddha and His Dhamma” Siddhartha Publication Mumbai, 1957. 3 Dr.B.R. Ambedkar - - “ Writing and Speeches” The Education Department, Government of Maharashtra, Mumbai 1987. 7 Dr. Prof. Ananda W.P. Guruge - - “ What Is Brief Is Buddhism” Published by Mitram Books, A Subsidiary of, Dhamma Healing Way. Inc. Monterey Park, CA. USA, 1999. 8 W.J. Basil Fernando - - “ Demoralization and Hope”, A Comparative study of the Ideas of N.E.S. Grungtvig of Denmark and B.R. Ambedkar of India, A Publication of Asian Human Rights Commission, Hong Kong, 2000. 10 Venerable Dr. K. Sri Dhammananda - - Ven. Narada Mahathera, Dr. G.P. Maklalasekera,“ “Gems of Buddhist Wisdom” The Buddhist Missionary society, Kuala Lumpur. 12 Dr. BabaSaheb Ambedkar… “The Man Who Made All The difference.” Nishikant Waghmare, Mumbai, India, 2002. A Fourth Turning of the Wheel?